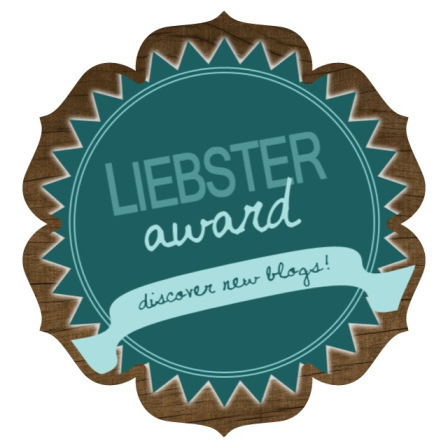 Frantic Mama: Frantic Mama Nominated for Liebster Award?! Thanks to Mamamusing (www.wijnker.blogspot.com) for nominating my humble little blog, Frantic Mama, for the Liebster Award, which recognizes newer bloggers with less than 200 followers. *If any of you have more than 200 followers that I didn't see because I use Bloglovin', my bad! Please take this post as a compliment to your fantastic blog. Or, if you already have a Liebster that I missed, well, twice the compliment to you! And if this is all too overwhelming, no biggie. Just keep up the great blogging, Mamas! :). 1. Are you willing to admit you sing in the shower and if so, what song do you sing most? I have so many embarrassing moments that keep me up at night...hmmmm... which to share, which to share...Probably the time I had to run out of a college class to puke from a hangover. 4. If your friends could describe you in one word, what would it be? 5. Name a place you have traveled to that MOST surprised you. Bermuda. They really do wear Bermuda shorts. That kids can't get cancer. Make that anyone. 7. How has the Internet changed your view of other cultures and people? I have met so many interesting people through my blog and social network. I'm not sure it's changed my views, b/c I've always been openminded, but it is definitely fun to learn about moms across the world. 8. What’s the strangest food you’ve ever eaten, and why? In Minnesota, there is a fascination with eating things on a stick at the State Fair. So I suppose a pickle on a stick (wait that sounds a little dirty...). 9. What is the most important thing you read online this week? Include a link please! That assumes I read anything important. Okay, I do read blogs when I can, so I'll say Mamamusing for the compliment of nominating me! 10. What children’s book describes the meaning of life best in your eyes? 1. What's your favorite t.v. show or movie? 2. What's your biggest guilty pleasure? 3. If you could meet anyone, who would it be and why? 4. What's your trick for getting through one of those days when you feel like you might just lose it? 6. If you could have (for free): a personal chef, full-time cleaning person, or a private chauffer, which would you choose and why? 7. Where is your dream vacation going to be (someday!!)? 8. Coffee or tea (or neither?!)? 9. What is your must-have beauty product? 10. What is the cutest thing your kid(s) has ever said to you? If you answer these, please comment on this post so I can check out your thoughts! Enjoy the weekend :).